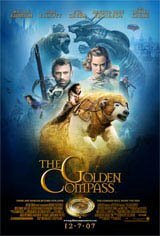 In a parallel world where people each have a personal dæmon, the manifestation of their soul in animal form, young Lyra Belacqua is a precocious orphan growing up at Oxford University. The rambunctious girl enjoys climbing on the roof with Roger the kitchen boy, spitting plum stones on passersby, stealing apples from the market and disrupting tutorials by making animal sounds. But her carefree existence changes when she and her dæmon prevent an assassination attempt against her uncle, the powerful Lord Asriel, then overhear a secret discussion about a mysterious entity known as Dust. She’s then quickly swept up in a dangerous game involving disappearing children, a beautiful woman with a golden monkey dæmon, a trip to the far north, and a set of allies ranging from witches to an armor-clad polar bear. 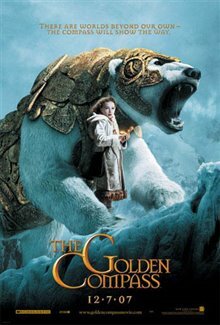 Based on the Carnegie Medal-winning novel by Phillip Pullman. "Loved it so much. 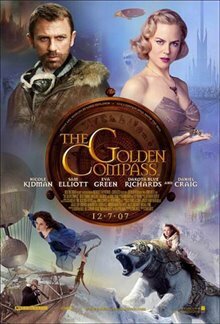 Does anyone know if there is going to be a sequel?" "Wonderful movie. I adore Ioric Berneson and really hope they will make a sequel to this film!" "It's one of those movies that deserves to be seen on the big screen. The first of three books about Lyra and her adventures, it's got magic, myth and mahem. Lyra overhears something she doesn't understand (where have we heard that before?) and is flung into a struggle between gobblers, gyptians and of course armored bears. 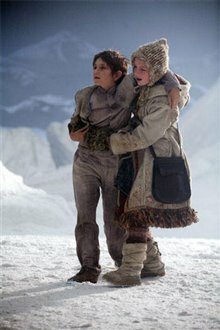 Lyra is a brave girl - a wonderful role model for impressionable minds. 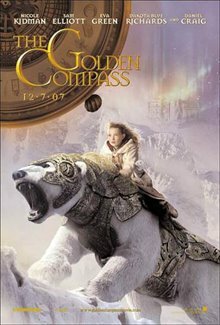 She's also defiant, clever and successful - thanks to her mastery of the titular Golden Compass. I can't wait for next cinematic installment so will need to read the books to know what happens next."